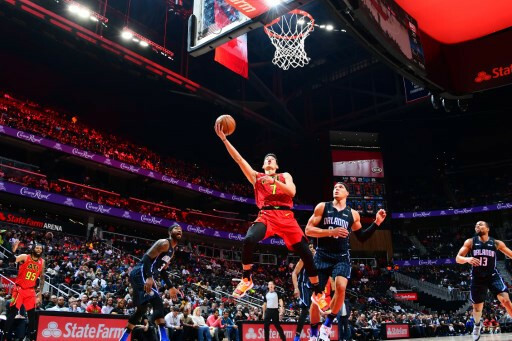 Jeremy Lin, the first American of Chinese or Taiwan ancestry to play in the NBA, is finalizing a contract buyout with Atlanta to set up signing with Toronto, his agents told ESPN. 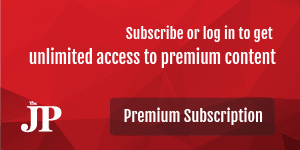 The US-based sports network's website said Lin, a 30-year-old point guard best known for his "Lin-sanity" run of success with New York in 2012, could wind up with the Canadian club by mid-week. Much-traveled Lin is averaging 10.7 points, 3.5 assists and 2.3 rebounds a game this season for Atlanta but appears destined for his eighth NBA club, having made his debut in 2010 with Golden State. While the Hawks languish eight games out of a playoff spot at 12th in the Eastern Conference on 18-38, the Raptors are 41-16, second in the Eastern Conference by a game to Milwaukee with the third-best record in the league after the Bucks and regining champion Golden State. Lin could play a key role off the bench behind Kyle Lowry for the Raptors, who traded key talent to obtain Marc Gasol from Memphis ahead of their push to the playoffs. Lin has played 457 career NBA games with Golden State, New York, Houston, the Los Angeles Lakers, Charlotte, Brooklyn and Atlanta with averages of 11.8 points, 2.8 rebounds, 4.4 assists and 1.1 steals a contest.